Place : Business Admin. Bldg. 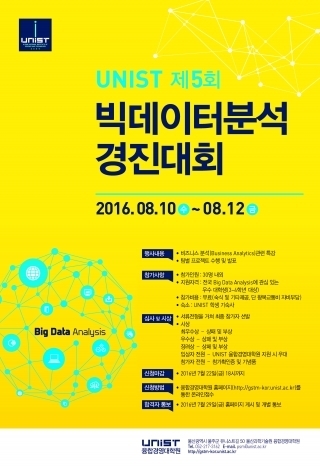 The The 5th Big Data Analaysis Competition will be held at UNIST on August 10, 2016. The event invites the 3rd and 4th year undergraduate students who are interested in Big Data Analysis.